Please join the WI CCA Board in congratulating Todd Prill as the 2019 Wisconsin CCA of the Year! Todd lives in Chippewa Falls and graduated from UW River Falls. He has over 22 years of crop advising experience and received his CCA in 1997. 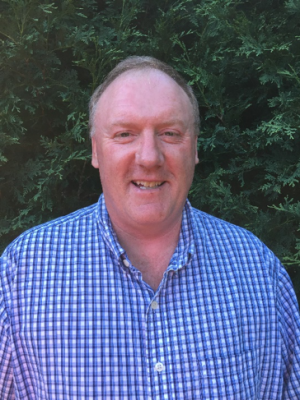 Todd recently started working for the Department of Natural Resources but previously was an independent crop consultant offering a full-service program including crop scouting, crop management, pest management, as well as nutrient management planning. The crops he consulted with included forages, corn, soybean, small grains, fruits, vegetables and hops. Todd has also been employed by UW-Extension and with the local County Land Conservation Department. Todd is a Comprehensive Nutrient Management Planner and Technical Service Provider. He has supported several UW Extension County Offices with manure, nutrient management, variable rate liming, corn, alfalfa and malting barley research plots. He has also been involved with the Chippewa Valley Forage Council as a member and serves on the board of directors. Todd has also provided monthly crop reports to area newspapers to help extend his knowledge to the public. Todd has been an advocate for agriculture by taking time to speak to several organization including the Chippewa Falls Leadership Program and the Chippewa Falls Chamber of Commerce. Todd has served two full terms on the Wisconsin CCA Board which included two terms as Chair. He is currently a member of the CCA Test Review Committee. Please take the time to congratulate Todd the next time you see him!